Are scientists building artificial hearts out of Lego blocks? 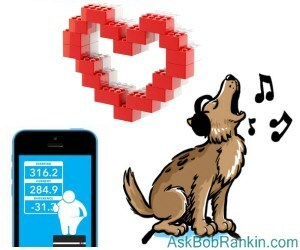 Do health apps on your smartphone actually make you fatter? And would you pay $50,000 for headphones for your dog? Get answers to these burning questions, and the scoop on the latest tech news, in this edition of the Geekly Update. It's guaranteed to make you 146% smarter. Read, think and comment! "We can rebuild him…" Retired Marine James Sides, who lost his right hand and eye while disarming an IED in Afghanistan, is now the first person to get a mind-controlled bionic hand with wrist, fingers, and thumbs that move like the real things. Researchers have created biological “Lego bricks” by 3D-printing grid structures using a medium composed of stem cells. The stackable structures will make it easier to build specific organs. Here's one way to get out of jury duty... Kimberly Ellis was apparently unaware that posting details on Facebook of her experience on a NY Supreme Court jury was against the rules. She was fined $1,000 and the case was declared a mistrial. Some 30 years ago, I heard a song called Rocket Packs, which contained the lyrics "It's the 80s... where's our rocket packs?" It took a while for that sci-fi promise to come true, but the day has arrived. Here's a video of two guys with jetpacks flying alongside an Airbus A380. It’s one thing to know how vinyl records are played, and quite another to watch a needle in a vinyl record’s groove under a 1,000x electron microscope. A survey of 1,604 Americans reveals that 58% of them downloaded health apps to their smartphones; 65% reported that the apps helped to improve health; and 46% reported downloading health apps and abandoning them quickly. “There was a burden of data entry, which was a big pain," summarized the researchers. In case you need new wallpaper for your screen, NASA has released spectacular HD images of the 2014 Antares rocket exploding upon launch. In a separate report, NASA reveals the source of the disaster was a refurbished, decades-old Soviet rocket engine. Your space agency needs more money. Japanese subway platforms are sporting signs warning commuters against “aruki smaho” - walking while texting, or using any mobile distraction. Complaints of oblivious smartphone users bumping into people, knocking packages to the ground, and sparking fights by bumping into strangers surpassed 100 in 2014. Time-Warner Cable hopes to win back cord-cutters by cutting ads down from 18-19 minutes per hour to 10-11 minutes per hour. How much would you pay for the world’s finest headphones - $50, $100, $200? The Orpheus electrostatic headphones from Sennheiser have an frequency range of 5 Hz to 100,000 Hz, and are powered by a pre-amp whose vacuum tubes rise out of a housing of Carrara marble. The price: a mere $55,000. The catch: the maximum range of human hearing is 15 Hz to 20,000 Hz. But your dog will love them! Everyone knows the first rule of Fight Club: "You do not talk about Fight Club." But the folks behind Rumblr aren't shy at all about their app, which connects people who are looking to pick a fight. Angry Android Users Defecting To Apple? Do You Still Have a Landline? Most recent comments on "Geekly Update - 11 November 2015"
The phonograph needle link was fascinating. Thanks Bob! Time-Warner may have cut back on TV ads, but they sure as heck have stepped up their US mail "plugs." Within the past 5 business days, I've received three (3) pitches to subscribe. A couple of years ago I called their customer service to request that they eliminate us from their mailings as we will _**never**_ go back to Time-Warner. Once was "too much." @Art: The jet pack pilots can indeed maintain altitude, climb,and descend, and in fact can perform most maneuvers a plane can including aerobatics, but they do launch by jumping from a platform such as a helicopter or balloon. The "jet pack" is actually a carbon fiber wing powered by 4 small jet engines with the pilot's body becoming the "fuselage" of the "airplane". They need to launch by jumping because they have no wheels to effect a ground takeoff or landing, and he lands using a parachute when his fuel is depleted - about 10 minutes. For the flight with the Dubai A380 they launched from a helicopter hovering above the plane as it flew a holding pattern. I hope the Japanese subway platforms have the warning signs on the floor, otherwise, they might not be seen. I'm glad I don't have a smartphone. Thanks Bob, for the link to the electron microscope video. It was really nice to finally see the phonograph needle working. I have known basically how it worked for years, but it was cool to actually see it. The additional information of the other audio/video recording technologies was also enlightening. Cable companies still miss the reasons why subscribers cut the cable. It is not Advert overload, it is poor reception, continuity, lack of subscription choices, lousy customer service and rising subscription rates. Cable subscribers can cut the cord and go internet only and receive the same, sometimes even better, and more diverse programming, sometimes directly from the same providers that cable charges outrageous rates to receive.